A match is a sports game between two people or teams. There won’t be any tennis matches today because of the rain. 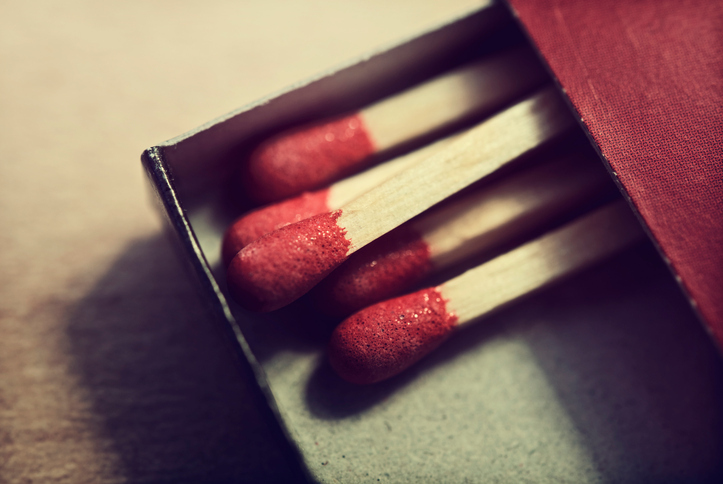 A match can also be a thin piece of wood that people use to start fires, or light cigarettes. You usually buy matches in small boxes. Do you have any matches to start the barbecue? If two or more things match, it means that they look good together. Sometimes it means that they are the same type or color. Her shoes match her dress. If you match two or more things, it means that you put them together, because there is a connection between them. Can you match the pictures with their descriptions? Rocky is a movie about a boxer who wants to be the best. He has the chance to fight a famous boxer, but he needs to do a lot of training before the big match. In this video from the movie, Rocky is doing his training. Do you know the song from the video? There are other meanings of match.